As competitive pressure mounts on online businesses, the need to better understand buyer behavior also increases. 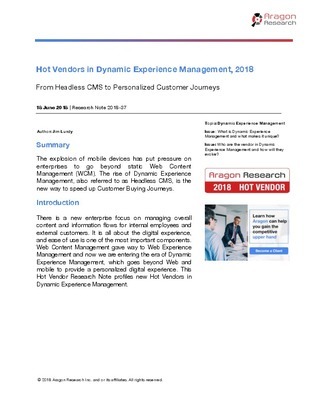 In this white paper, discover how businesses can improve their online customer experience through the use of dynamic experience management (DXM). Uncover the differences between traditional web content management and DXM, and explore how to leverage intelligent technologies into better understand buyer behavior, and build successful CX strategies.